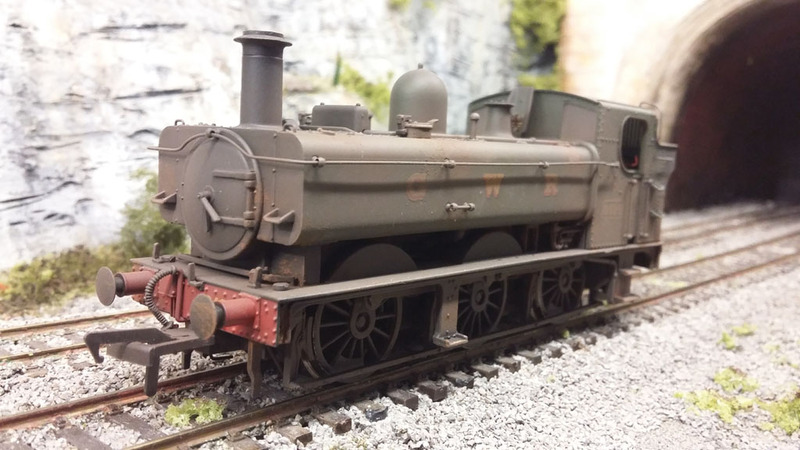 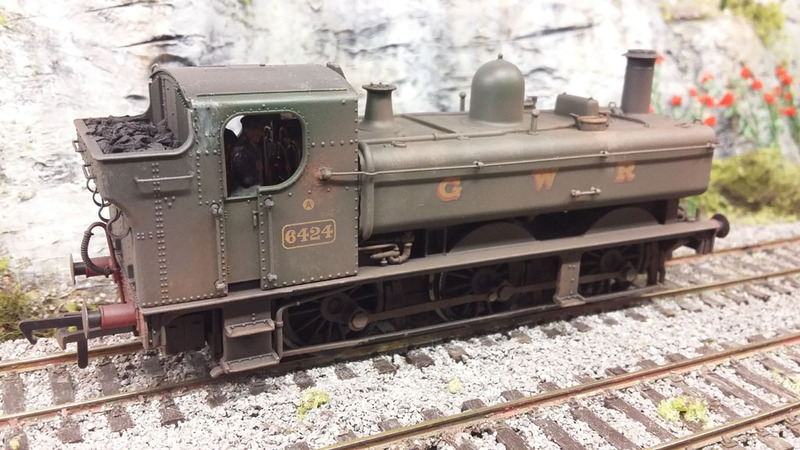 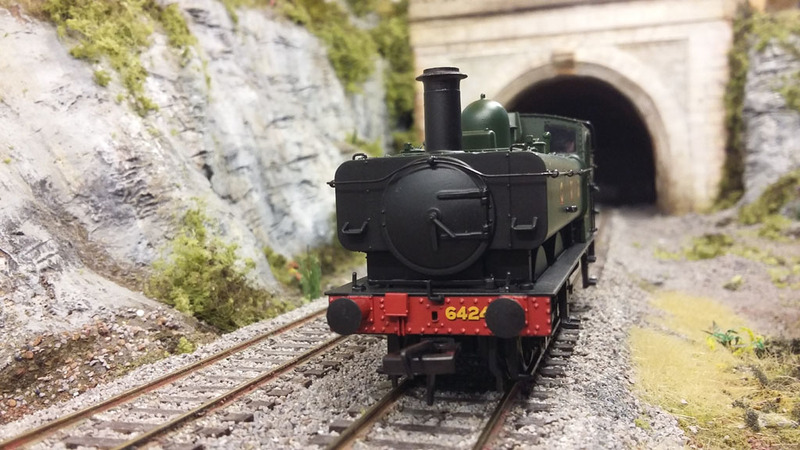 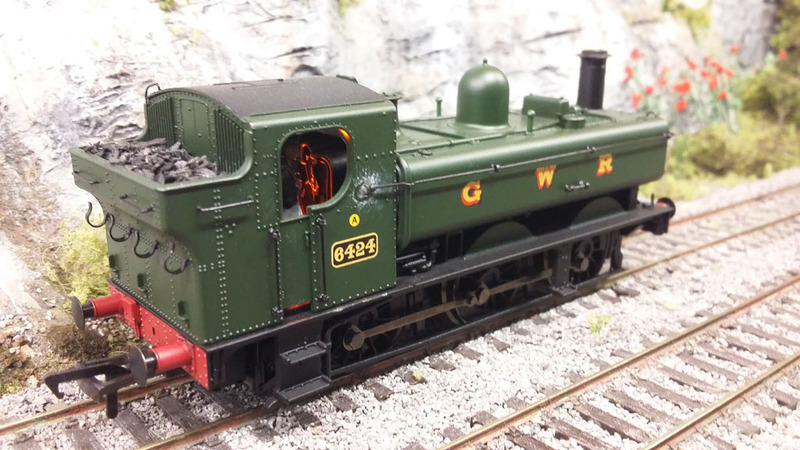 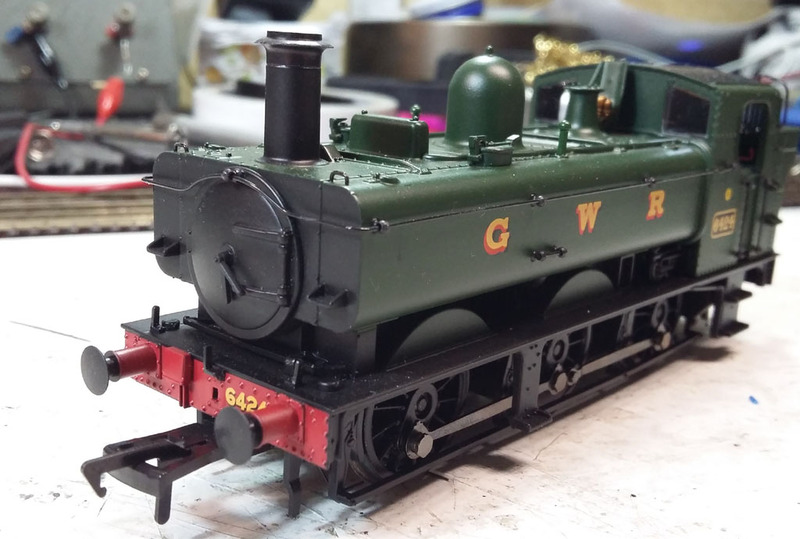 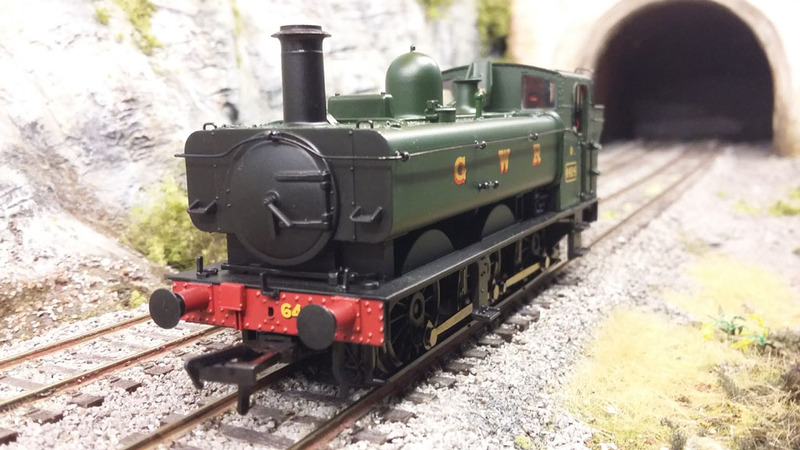 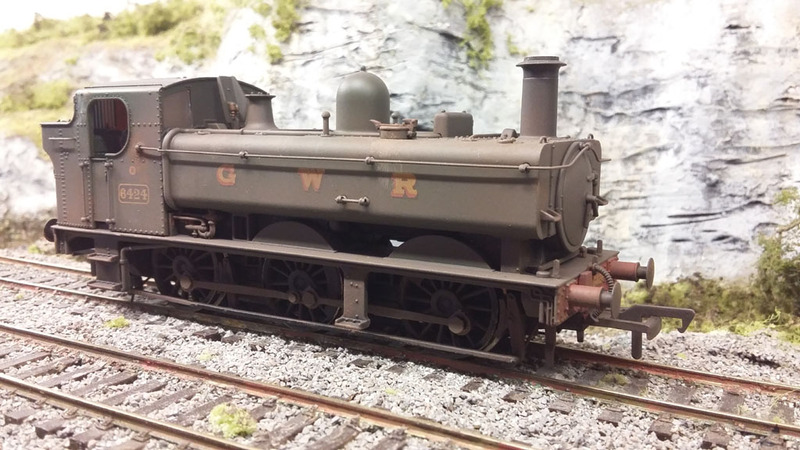 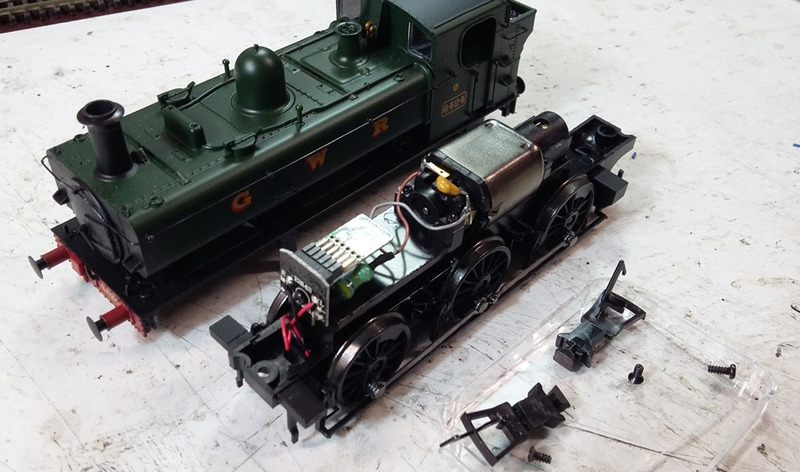 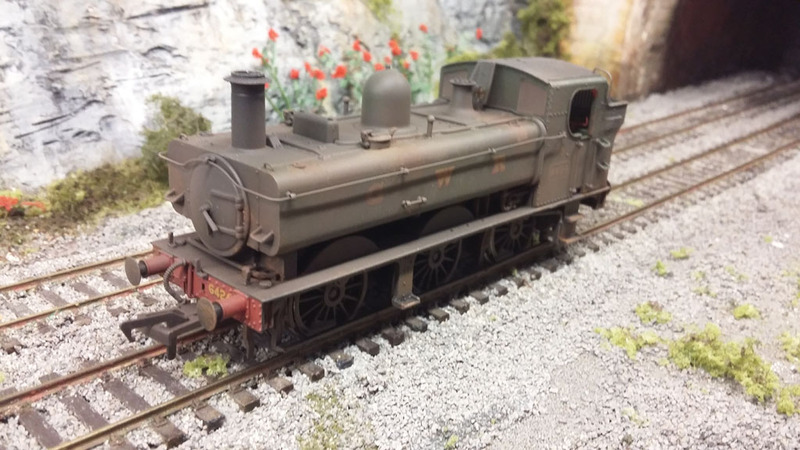 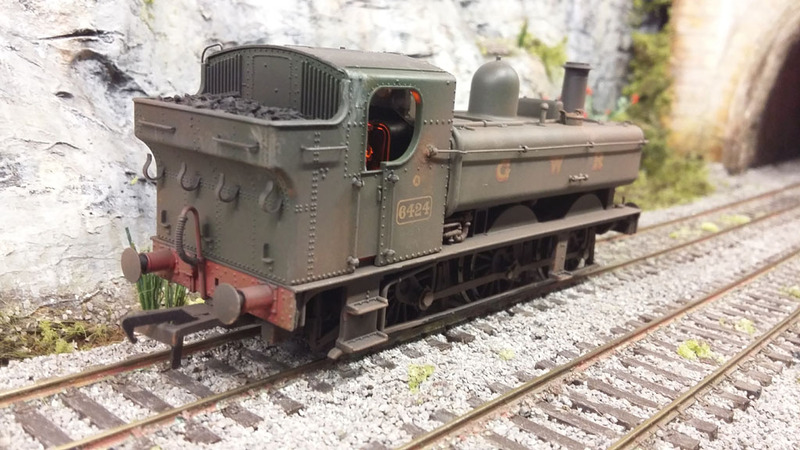 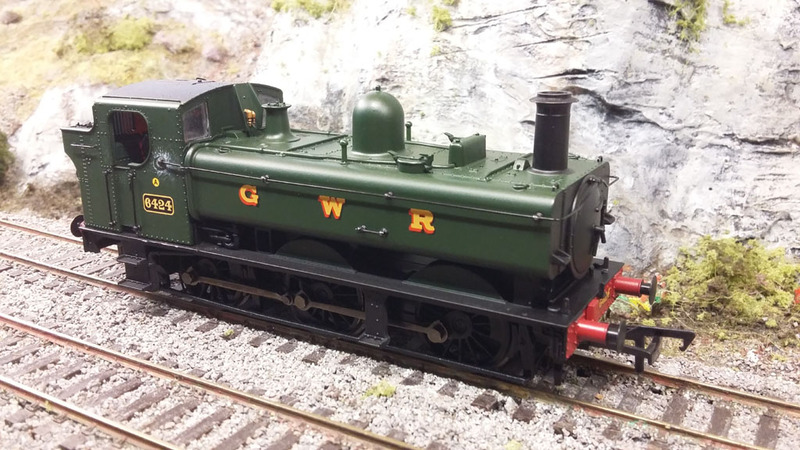 Bachmann OO GWR Pannier Tank - first up, is a 2014 model into which we will add a Zimo MX648 sound decoder, SugarCube speaker and Zimo SuperCap68 stay-alive. 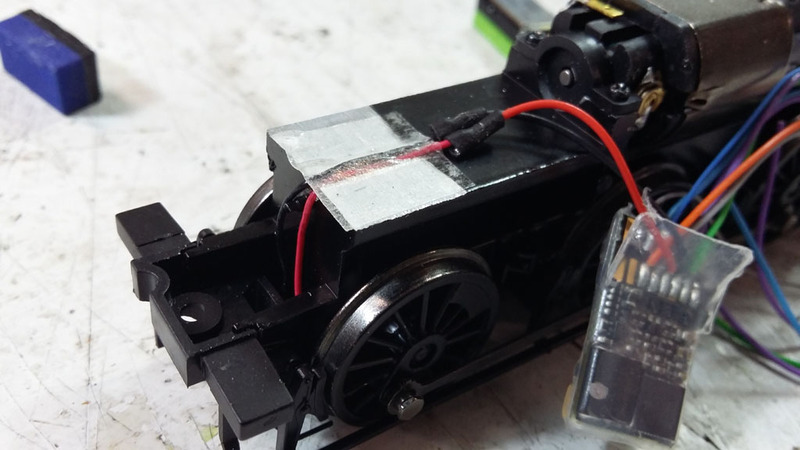 Photo guide, showing first the connection of the SPEIKOMP Zimo circuit (NB use SACC16 instead), which is required on the MX648 when you wish to attach a stay-alive capacitor. 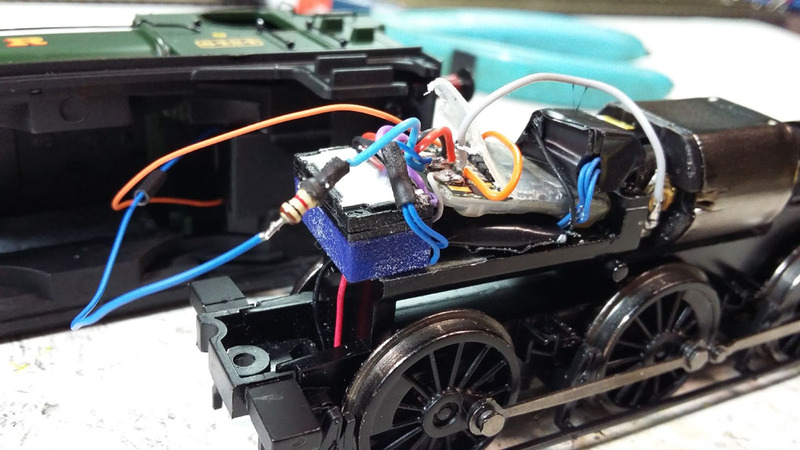 The initial connections show a 1000uF electrolytic capacitor, which we then swap up for a Zimo SuperCap68 (6800uF super capacitor giving around 3 seconds of run-on time after power is interrupted). 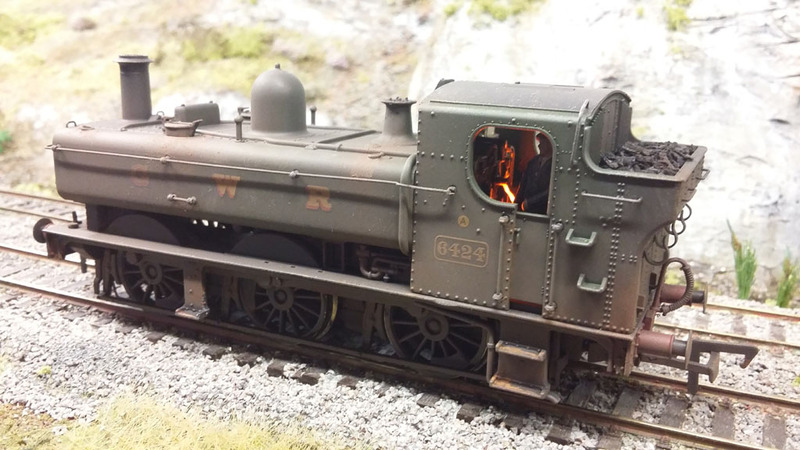 NB use SuperCap17000uF instead. 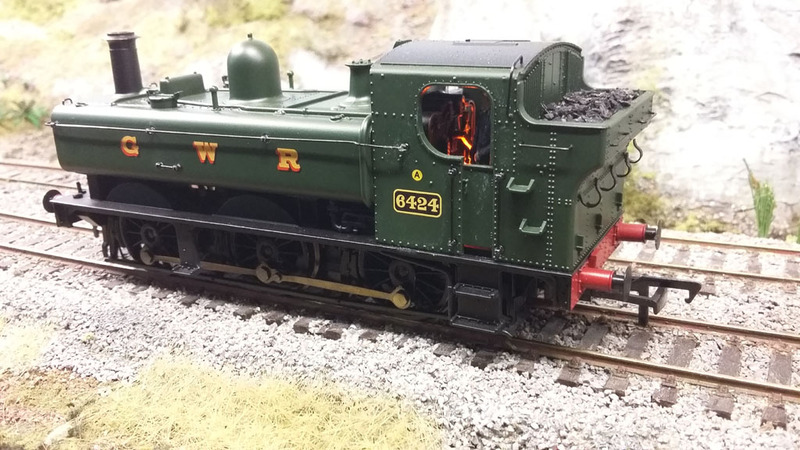 Below we have the 2015 6pin Bachmann Pannier model, with a similar treatment, albeit with an array of Tantalum capacitors for stay-alive instead of a SuperCap, plus firebox glow and crew. 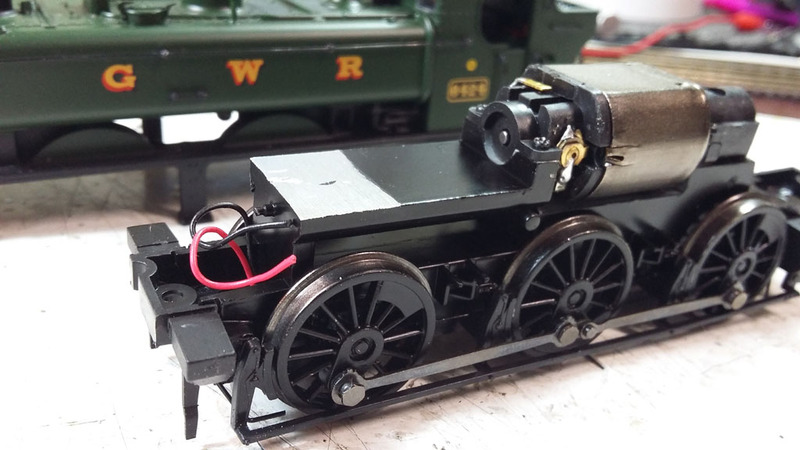 Speaker is a YouChoos Limo7. 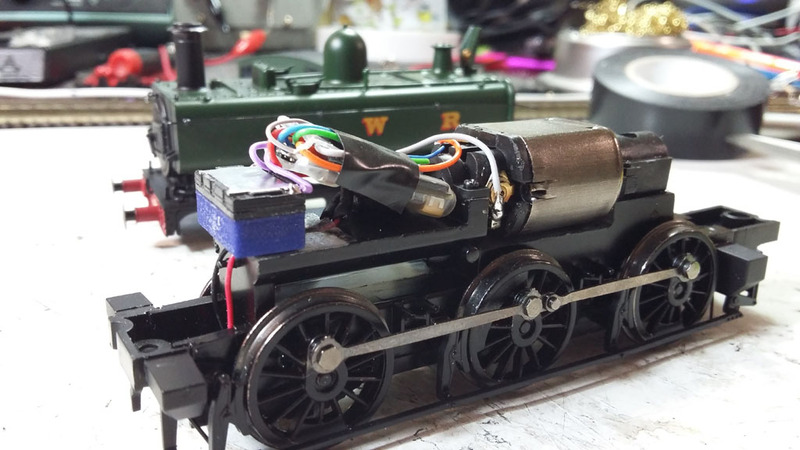 Would love to squeeze the SuperCap in there, but it would mean a bit of hacking of the metal weight at the back, so we go with an array of Tantalum capacitors on the cab floor instead (5x 220uF/16V). 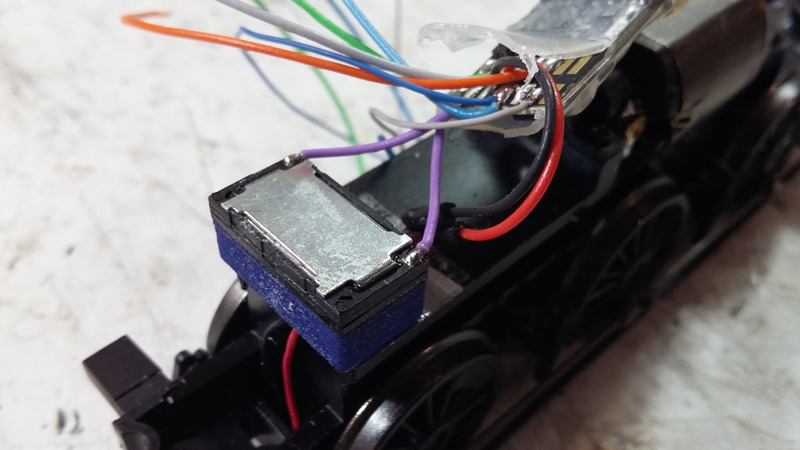 SPEIKOMP kit (NB use SACC16 instead) is required to connect a stay-alive capacitor up to the MX648. 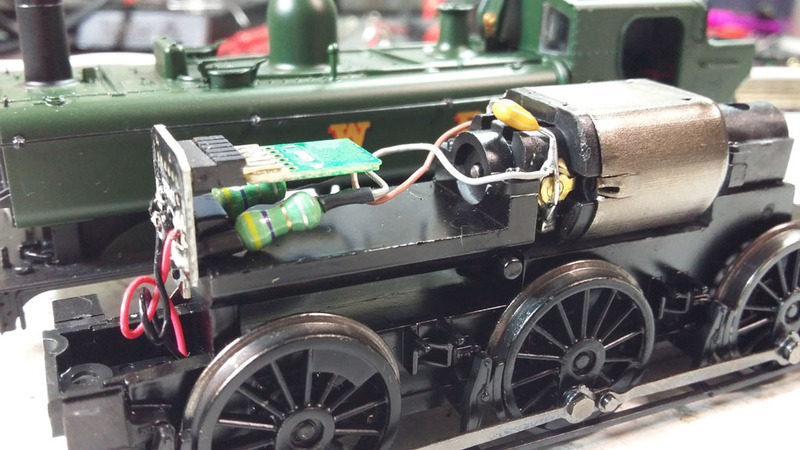 Very similar install to the above, but with Minnow6 speaker instead of Limo. 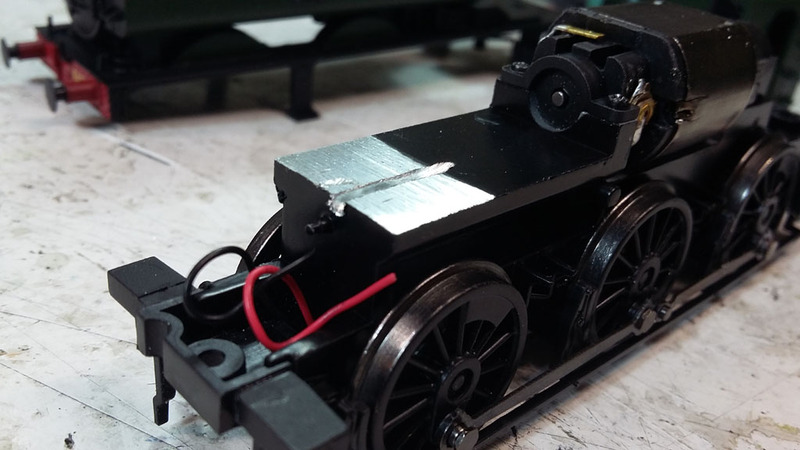 Remove the factory DCC 6pin socket, and the screw mount, filing it down flat and creating a shallow channel for the pickup wires to run under where the speaker will eventually sit. 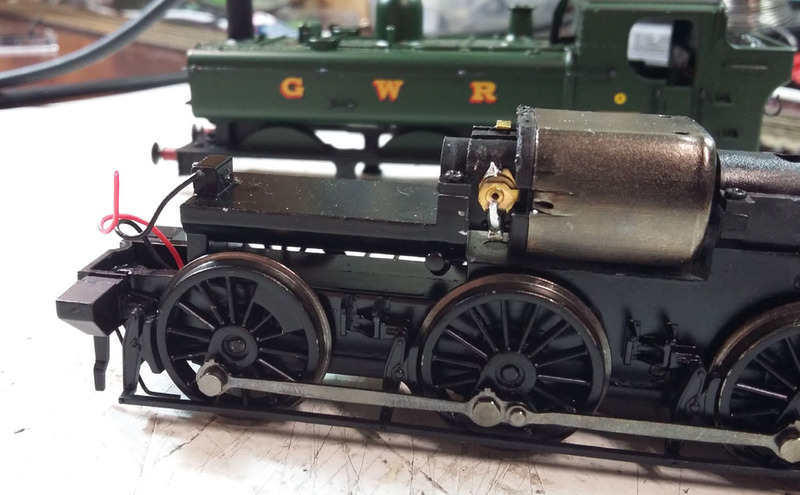 Assemble the SPEIKOMP kit (NB use SACC16 instead), to which we'll connect the Tantalums (placing these on the floor in the cab), and also wire up for the firebox glow LED.